Tata , This word has been associated with India since India started progress . Progress came to India with these legendary people . Tata 's are patriots of the nation . They are people who has done everything , someone can do for a nation even at the cost of themselves . There is a story that when Tata 's came to India , they promised our king that If India is milk , we will add sugar . They always justified this word they gave us . Apart from being among the biggest conglomerates in India , Tata 's are treated with much more respect all over the world .I always say People can be great businessmen but not great people . Tata 's are great people . Take Ambani 's they are great businessmen not great people . If something happens to TATA 's , nation feels as if it happened to them . But others case , its just a news for the media . Tata 's always bleeded for the nation . Still they won't say a word or cry on the foul system we have in our country . Tata 's have lost 10 's of projects before they start like Singur and they always keep losing money . Still they always plan to do good to our nation . Like other IT engineers , I criticise my company always but internally I am always proud to be a Tata employee . We have a respect in the global societies which many other company employees never hold . We as TATA employees are people who always keep on contributing to the society . Tata companies always incorporate certain level of social responsiblity and ethics in their employees . 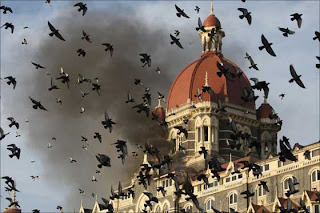 Thats why staff of Taj lost their lives for the guests . Tata 's respect their employees with great value .For the things that happen to Tata ' s I always feel what I would had done if I am Tata ? had became agressive in getting money somehow . Thats why I am not a TATA . Thats why they are great people . We as a nation respect you legends . Thanks for contributing to our nation . You can read Ratan 's interview to CNN summary here . This is a very good article you have posted, Really appreciatable. Mr.Tata is a very good person by heart indeed. He treats all his employees and the fellow indians as his family members. Always takes care that every project he starts is for the betterment of the people, profit offcourse but thats secondary for him, an emotional bonding with the ppl for good. We should be proud to have ppl like tata's in our country. The ambanis, they only interested in making money in every possible way with fake assurances.